Our all new 'Accident Report Book' has been created so that individual cases can be reported independent of each other and be separated. 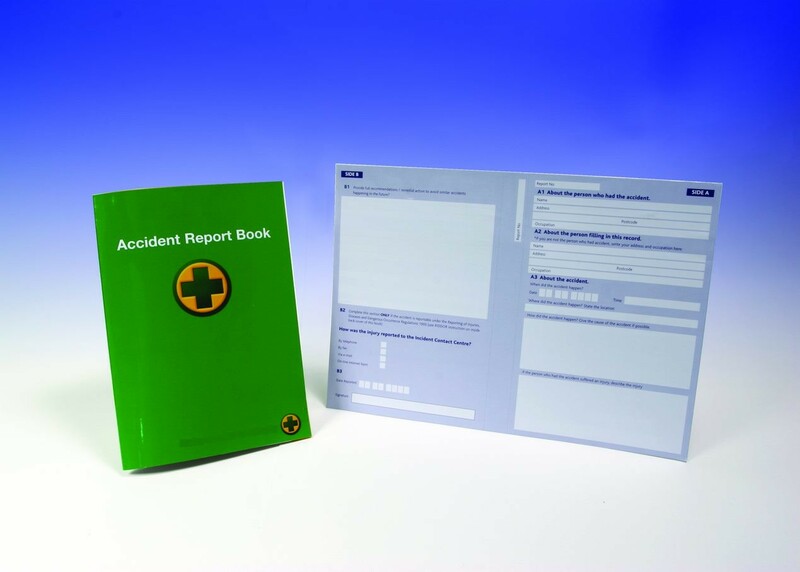 Other accident books may allow other people to view personal details that have been entered from previous accidents. This is in clear breach of The Data Protection Act, whose primary concern is to protect personal information, ensuring it is not misused in any way. Our Accident Report Book allows details of accidents and affected individuals to be recorded but each report can be easily detached for filing and storage in a separate and secure location. Employer's Responsibility - Accident Books The new accident report book complies with the Data Protection Act 1998 that says personal details entered in accident books must be kept confidential. The new accident report books are designed to facilitate removal and storage of personal information to ensure confidentiality. All businesses need to be able to report accidents and an accident book is one of the best ways to comply. Employers must keep a record of all injuries that happen on your premises, or to employees working elsewhere on their behalf. An accident book must be kept in an easily accessible place. However all reports need to be kept in safe storage (e.g. in a lockable filing cabinet). Accident Book records must be stored in a safe place for 3 years. Employer's Responsibility - RIDDOR reporting As well as keeping records in the accident book, the law says you must notify and report some injuries and deaths arising from accidents at work under the Reporting of Injuries, Diseases and Dangerous Occurrences Regulations 1995 (RIDDOR). This reporting must be done within specific times. Guidelines are set out at the back of the new accident book. Employee's Responsibility When you are injured at work, the law says you have to tell your employer as soon as you can. You can do this by writing about your accident in this book yourself or asking someone else to do so on your behalf. Details are set out in the front of the new accident report book. DID YOU KNOW? By law your business needs to have a 'FIRST AID KIT' and a 'LAW POSTER'. Select these products below to complete your legal compliance!